Artist, author and arts educator Lola Lombard gets in the Kolossos spirit while visiting New Orleans for French Quarter Festival. 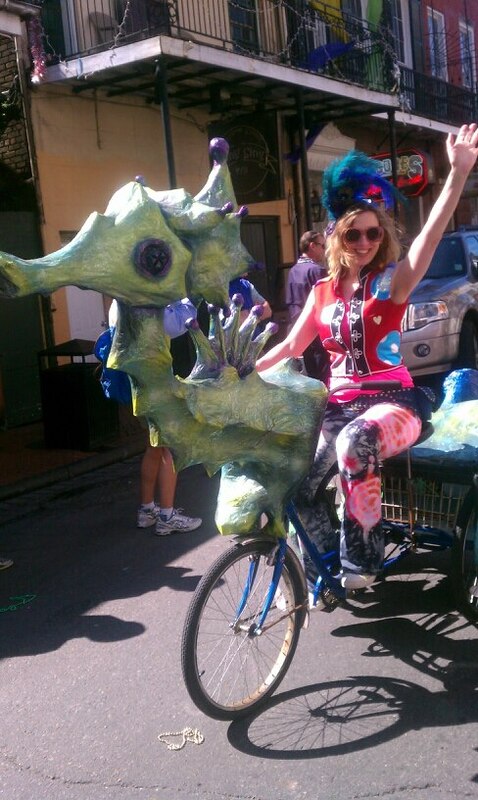 Art Bike Biography: Charmaine the seahorse was named after New Orleans musical legend Charmaine Neville. The seahorse is sculpted from salvaged wood, metal and paper mache. She was created by artist Molly Magwire for the Krewe of Kolossos.